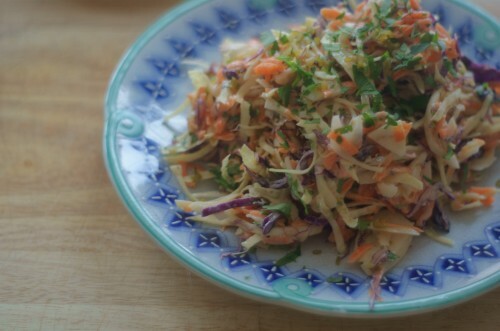 I love the colours of this salad – so pretty! 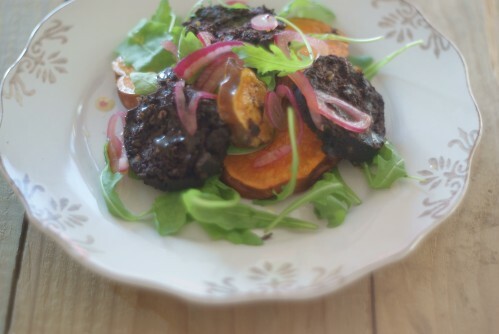 Roasted slices of sweet potato and black pudding go together perfectly in this easy salad. Add beans or a poached egg to make it more substantial. This salad has so many things going for it. It’s healthy, cheap and surprisingly quick to make. This salad is packed full of good things and perfect for packed lunches: bulghar wheat with peas, cherry tomatoes, seeds, rocket and feta in a lemony dressing. Roasted cherry tomatoes, paper thin slices of fennel and loads of herbs. Happily, it keeps perfectly in the fridge, the extra time gives the flavours time to meld together so it’s perfect for lunchboxes. 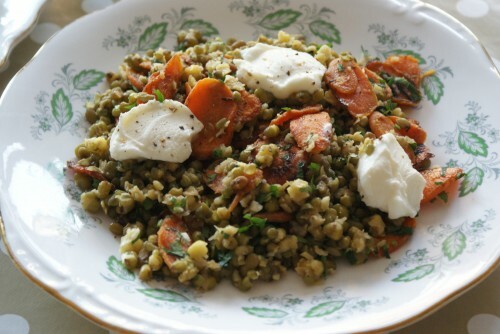 A big bowl of salad, with goats’ cheese, almonds and chewy barley, all doused in an orange and parmesan dressing. This Ottolenghi recipe is downright delicious. 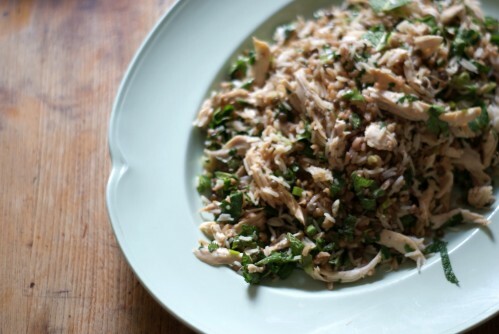 The combination of 3 rices, plenty of herbs, spring onions and fried onion makes for a dish bursting with flavour and texture. Stir-fried kale with plenty of garlic, chopped hazelnuts, quinoa, red rice and an orange zest dressing. 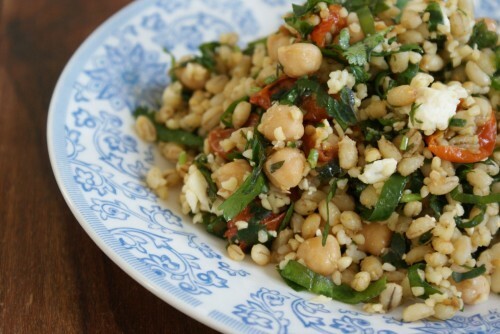 Soft and chewy barley, bulghar wheat and plump chickpeas with spinach, some sweet roasted cherry tomatoes and a little crumbled feta make this into something really tasty. 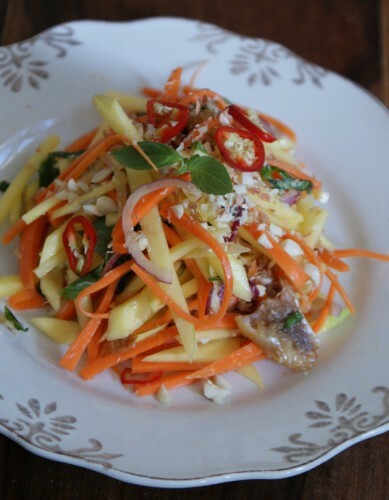 Shredded carrot, mango and smoked mackerel with a spicy and sweet dressing of lime juice, palm sugar and fish sauce – all topped off with crunchy peanuts.